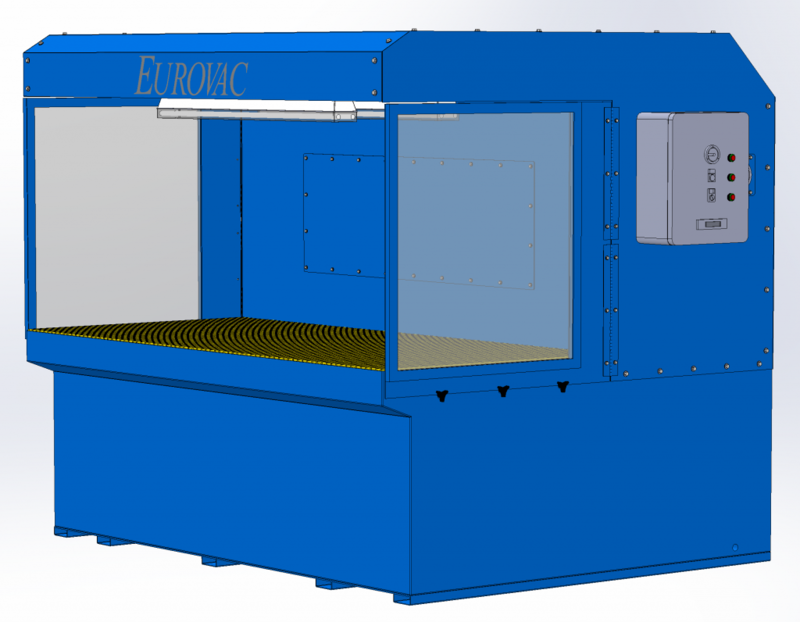 The last Eurovac Solution you were browsing was Wet Downdraft Table. 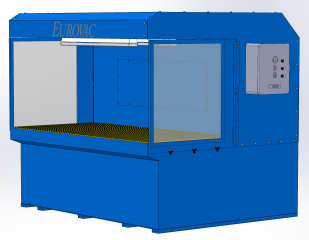 The Eurovac complete line of Downflow work benches will transform highly reactive dusts such as magnesium, niobium, tantalum, titanium and zirconium into passive inert dusts and will follow OSHA and NFPA regulations and guidelines. The safe practice operation works on a variety of exotic alloys and on small, medium and large size dusts. Since most if not all solid contaminants are caught in the water stream, clean breathable air is pumped back into the workplace without the costly add-on of a fire or explosion suppressing device. This feature also means you will not need to do with the expense and maintenance of a make-up air unit! Using robust 12 and 14 gage steel protected by a powder coat paint finish, the unit will resist to premature rust since the water containment section is lined with a thick film of polyethylene. Easy to install and ready to be put to work. Back walls with or without suction and side walls on hinges. The reactive dust is drawn through the perforated work surface and enters the collector inlet. The centrifugal force of the fan creates a turbulence and with the help of multiple baffles, water droplets swirl in the dust laden airstream thus catching the explosive dust. Wet dusts are now too heavy to be carried in the airstream and fall into a holding storage tank and become inert. Since water has a tendency to evaporate, fresh water is fed back into the unit when level becomes too low.